Kate shares about watching her mother undergo a terminal battle with cancer and what that experience taught her about grief, loving well and the HOPE of heaven. Kate and I wrap up our conversation talking about how the importance of living with a heavenly mindset — investing in Kingdom work over and above our desire to lead comfortable lives. 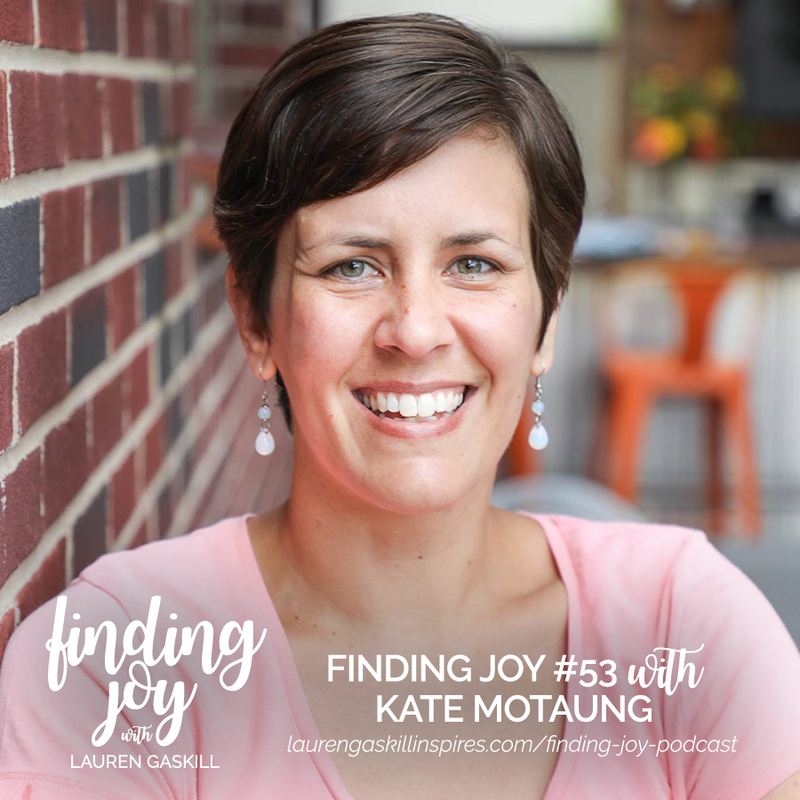 Kate encourages us to ask ourselves the question: Where am I placing my hope and fulfillment? Is the answer in Christ? 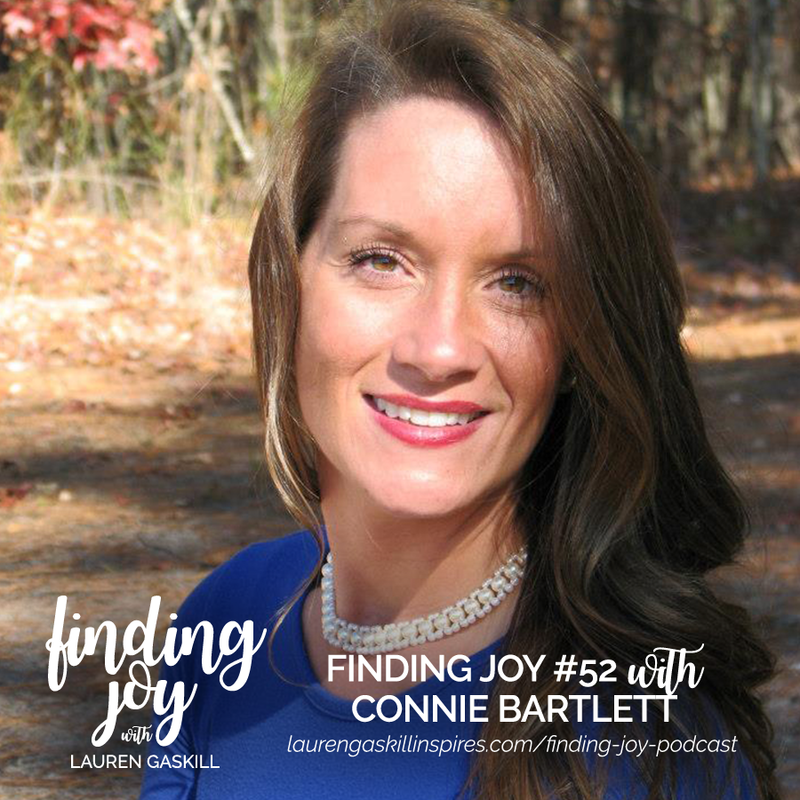 As you’ll hear in our conversation today, Connie spent years thinking her purpose in life was to climb the corporate ladder so she could gain the world’s definition of success. She worked tirelessly to become the director of marketing twice at big insurance companies, but after losing her mom and her job in 2017, God awakened Connie to realize that there was so much more to life. 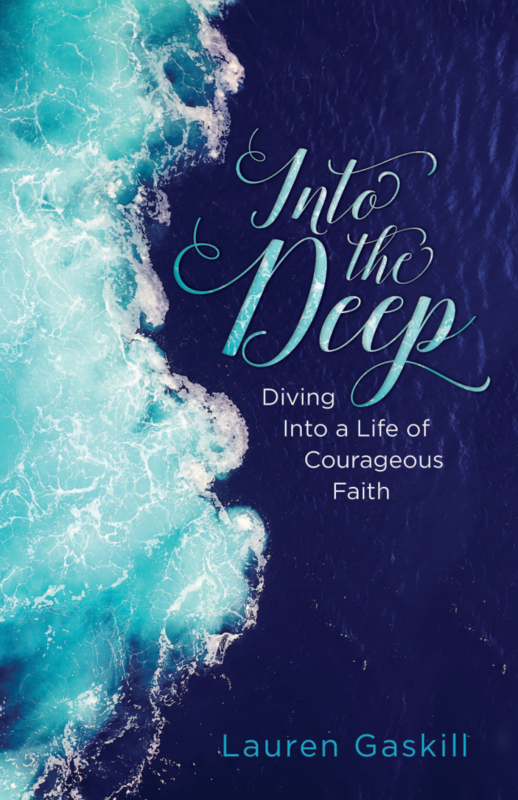 While such tragedies could cause someone to turn away from the faith, Connie instead drew closer to God as she learned to grieve in a holy and healthy way. It was from this place of grief that God wooed her back into his arms to see her true purpose in Him. In addition to talking about living with purpose, Connie and I talk about the challenges and blessings of raising and loving children well in a blended family situation. We also talk about how to communicate well in marriage and why it’s important to pray and grow together as the years go on. P.S. 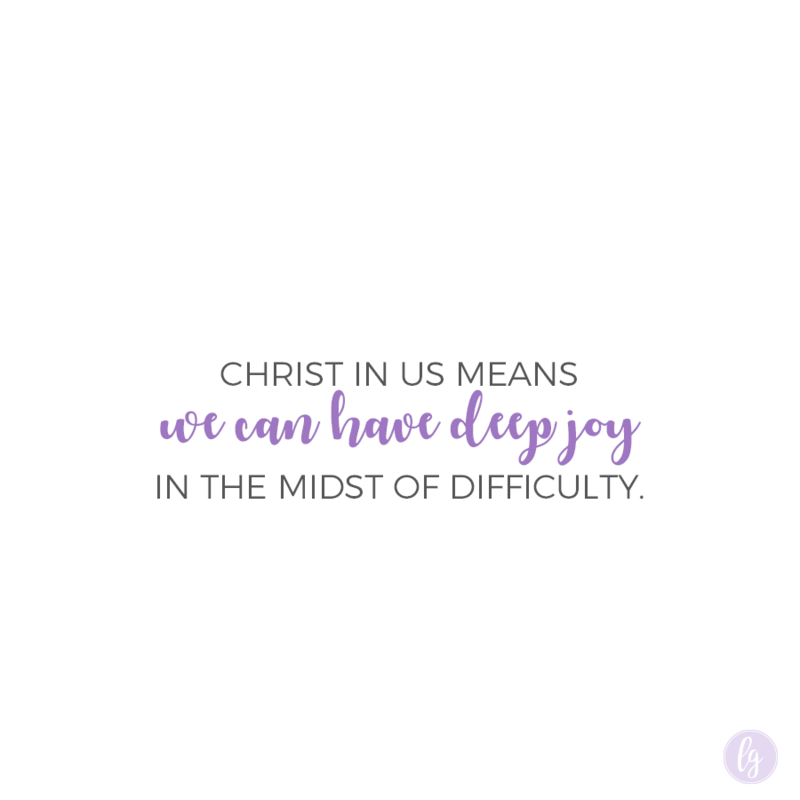 If you’ve been blessed by the Finding Joy Podcast, or if this episode blesses you, it would mean the world to me if you left a review on iTunes. This will help more people find the show and learn more about the joy of Jesus. 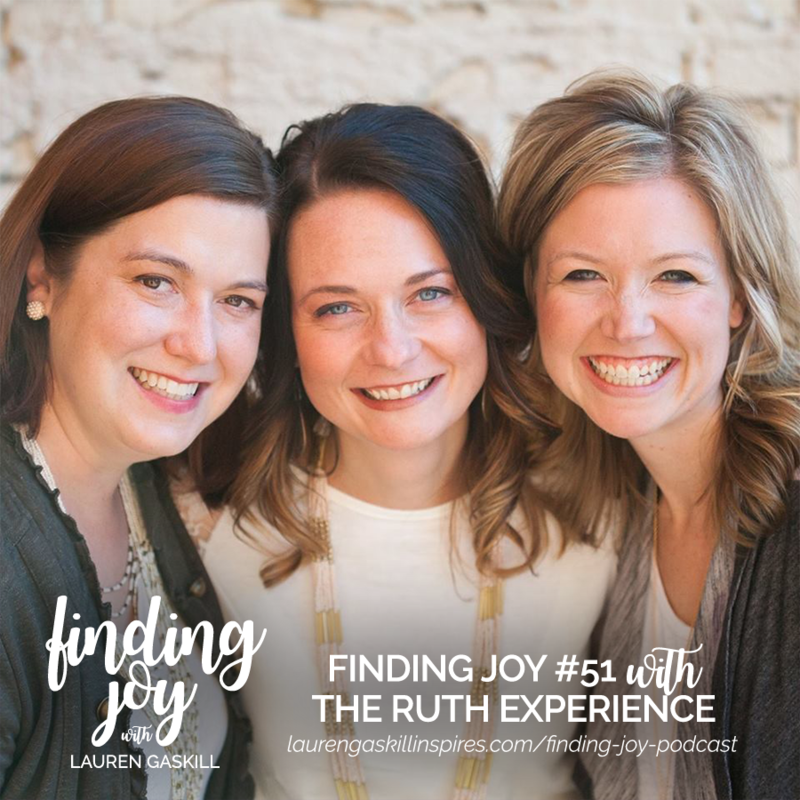 The Ruth Experience ladies join me today for Finding Joy #51. Kristin, Kendra and Julie are not only friends, but they are also writers, speakers, wives, moms, and world-changers. They are passionate about fostering authentic community and believe simple acts of biblical kindness can truly change the world. A few years back, God placed a burning desire on these ladies hearts to be the hands and feet of Jesus on a more intentional level. Their experience in practicing kindness in today’s increasingly divided culture was so life-changing, they decided to take what they learned and turn it into a beautiful book, The One-Year Daily Acts of Kindness Devotional, which released last fall. Y’all, I cannot even begin to tell you what a blessing this devotional has been to me. It’s super easy to follow along with and the Scripture passages and inspirational personal stories have left a huge impression on my heart. On today’s show, we talk about the book and why God calls us to show kindness to others. We also talk about what it means to live a life of generosity, and how you can incorporate kindness into your everyday routine (and teach it to your kids) with tons of easy-to-implement ideas. Biblical kindness can change the world, but it can also change us too. Together, we can fight our natural impulse to be self-centered by viewing kindness as a blessed opportunity to be the hands and feet of Jesus. What a privilege that is, amen? 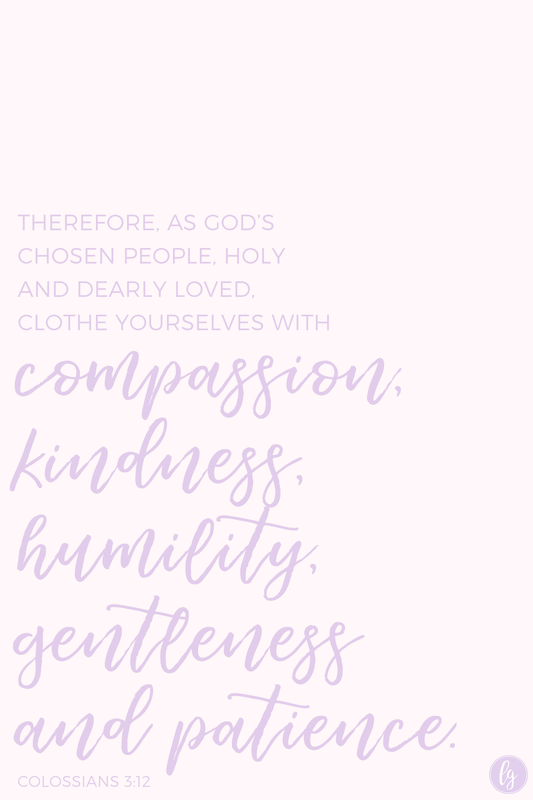 As Kristin, Kendra and Julie point out on the show, “when we meet someone else’s need, our needs are often met too.” Biblical kindness isn’t a chore or obligation, friends. It’s a win, win, win. Go and be the light, and enjoy this uplifting conversation with these three inspiring ladies. P.S. As a freebie, you can grab today’s entry from The One-Year Daily Acts of Kindness Devotional HERE. 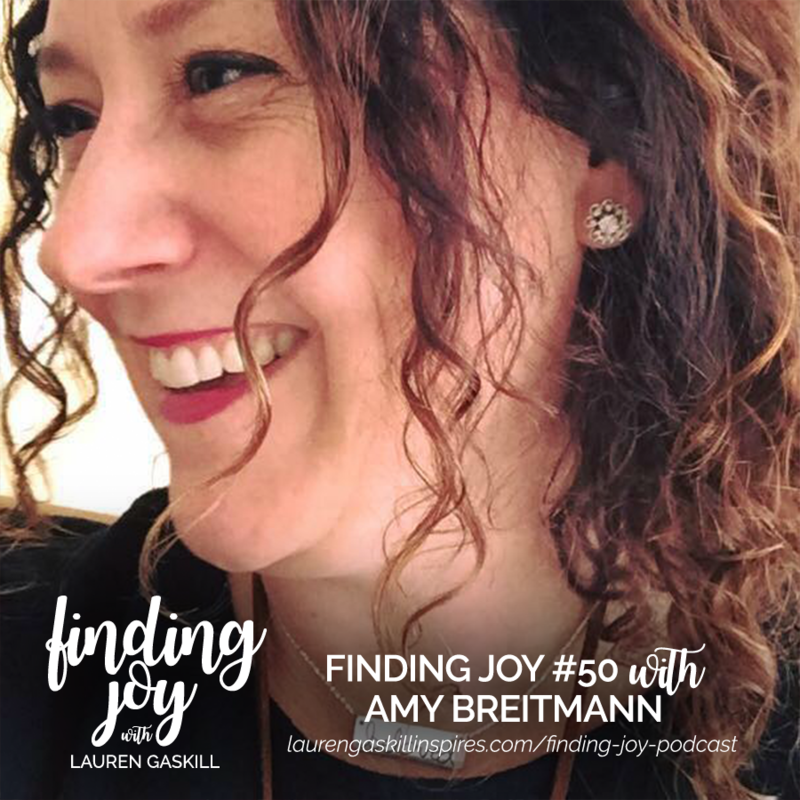 Amy Breitmann joins me today for the Finding Joy Podcast’s 50th episode! Amy is a wife, mother, writer and lover of all things creative (and she will also be speaking at the Woodstock, Georgia Finding Joy Ladies Night Out event on Oct. 7!) 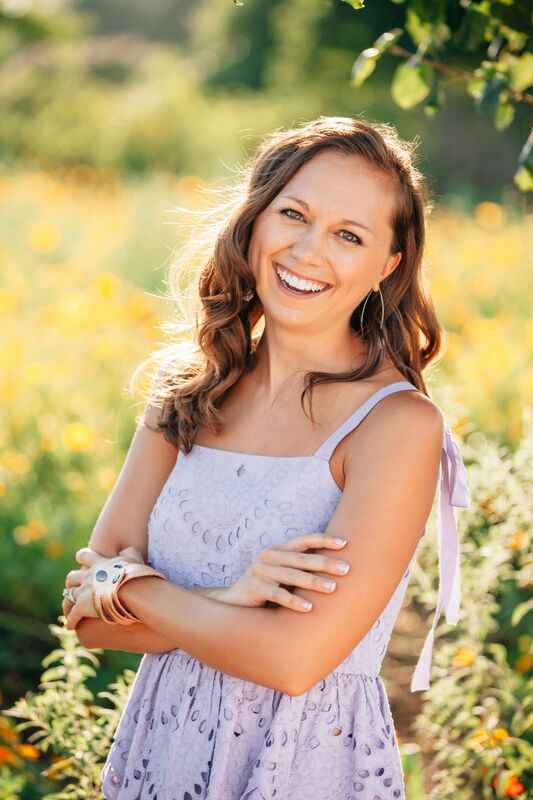 Her life and faith were forever changed when she was diagnosed with ovarian cancer as a 29-year-old mama-to-be. As you’ll hear in our conversation today, God has taken Amy’s broken road and weaved it into a beautiful ministry. Today The Lydia Project serves thousands of women and their families each year, providing spiritual, emotional, and financial support to women facing any kind of cancer. Amy firmly believes that while God doesn’t cause suffering to happen in our lives, He uses every valley to help us learn how to minister to others in their time of need. “When we find ourselves in a valley, we have a choice to make. We can be bitter or fearful … or we can look around and say, ‘How can I serve and be Jesus to the people who are in this same valley? '” Amy says. We are beautifully broken to be a blessing. In addition to talking about her experience with cancer and The Lydia Project, Amy and I talk about the importance of living our passions and staying true to who God made us to be — cracks, scars, flaws and all. Don’t be afraid to just be you! Show up and say, this is me! People want to be inspired. They want to come alongside you and cheer you on. We think they don’t but they do. Believe in who God made you to be and walk in that freedom. God gives us stories and passions for a reason and He uses them to inspire others and touch others’ hearts. We should live our passions simply because we know we’re supposed to … not because we need something in return. Your gifting is not about you. Stop caring about shares, likes and other validation. Your gifting is just that — a gift to the world. 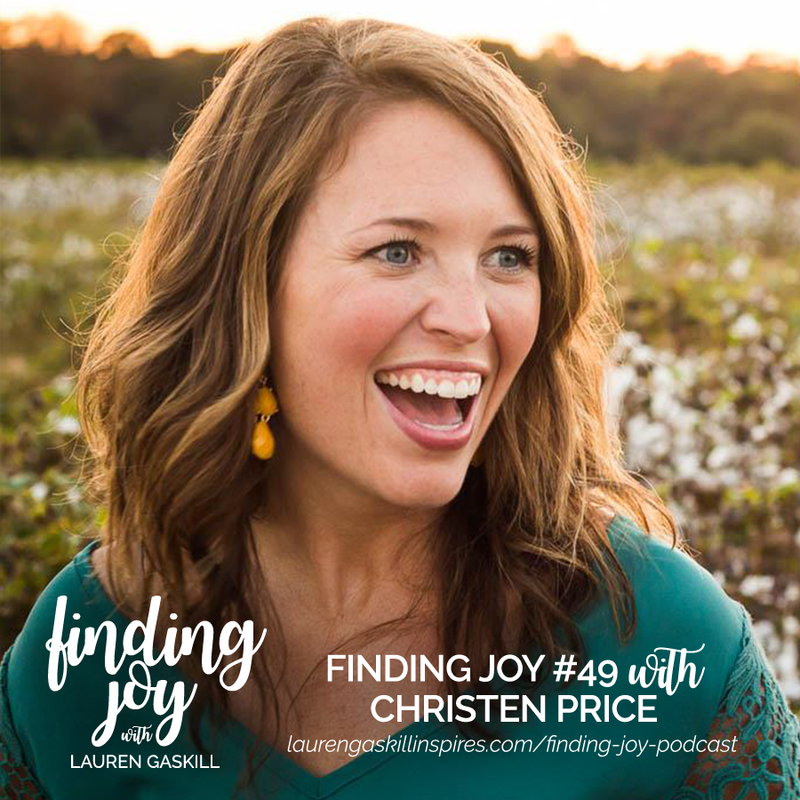 Christen Price joins me today for Finding Joy #49. Christen and her husband live in the countryside of lower Alabama, where they raise their three precious children. As a writer, artist, and party planner, Christen’s heart is to lead women in celebrating their people, place, and purpose. Her first book, Invited: Live a Life of Connection Not Perfection, released in spring 2016. As you’ll hear in our conversation today, Christen is a big proponent of embracing imperfect hospitality — biblical hospitality that focuses not on perfection but on on why we celebrate: to be with and love on people. We might not always plan the perfect party, but we can always choose to be God’s hand and feet and love others well. In addition to talking about how to be a “hallelujah hostess,” Christen and I also talk about the importance of saying yes to community, especially when we’d rather stay at home in our PJs and watch Netflix. This doesn’t mean we say yes to everything, but rather we keep an open heart and mind. In other words, while the cultural trend is to say no and create margin in our lives (which is good), we should be careful not to shut everyone and everything out. While we talked about the importance of community, Christen and I came up with a quote that I think you’ll get a kick out of: Forget Netflix and chill. It’s time to connect and eat cake. 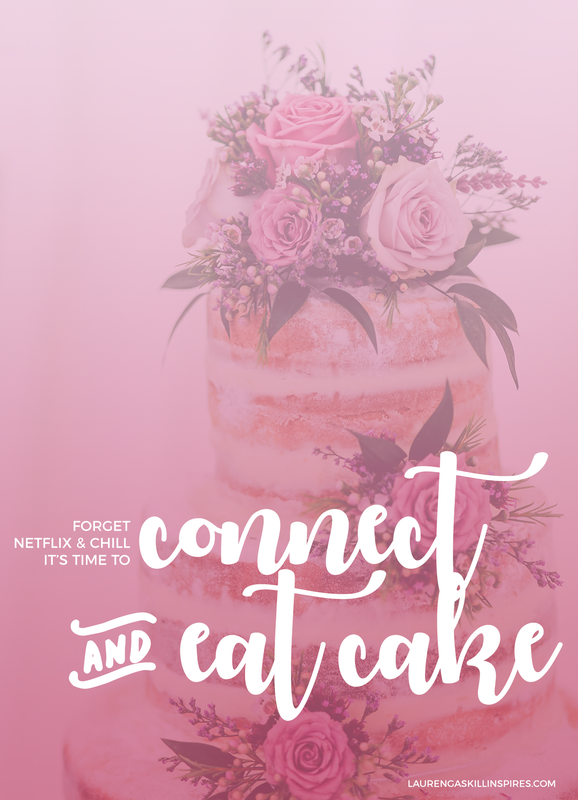 I don’t know about you, but while I love a good Netflix and chill session, nothing beats authentic, heartfelt connection with a side of cake. What do you spend most of your time thinking about? Do your thoughts toward yourself and the world tend to be negative? The truth is, if we don’t take time to fill ourselves up with TRUTH, nothing and no one else will. That is what makes the practice of daily faith confessions so important — we have to get God’s truth in if we are going to get the enemy’s lies out. OK, now onto today’s podcast guest! 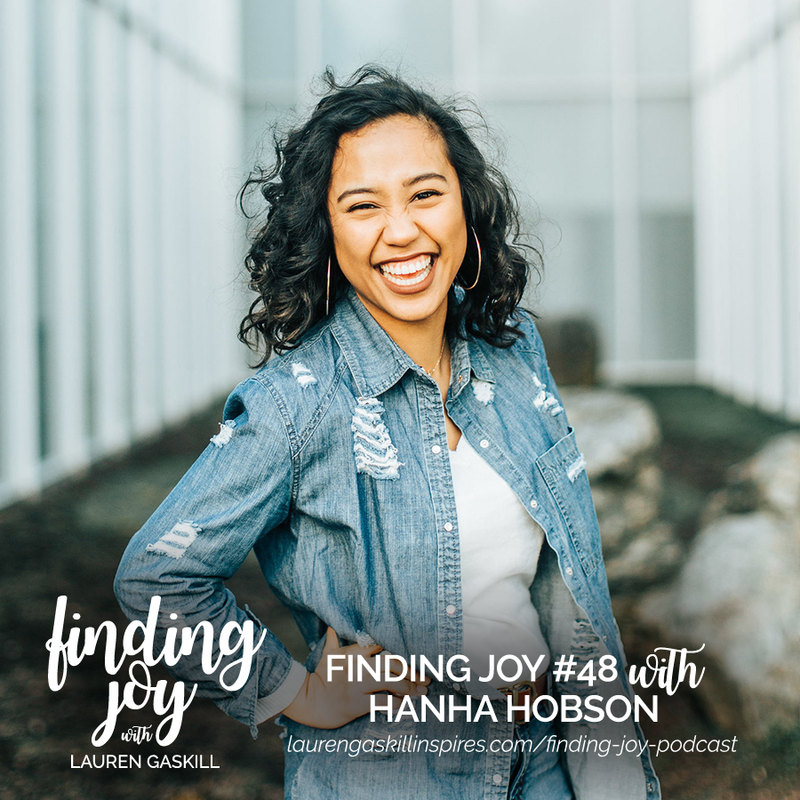 Hanha Hobson joins me today for Finding Joy #48. 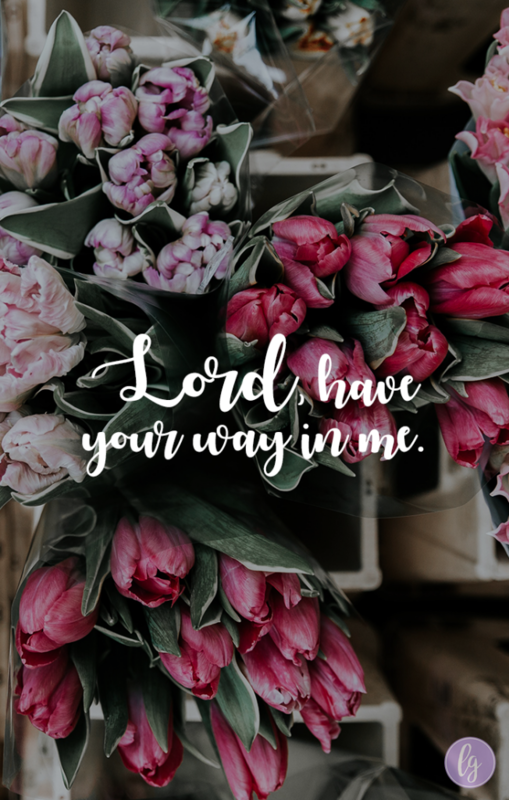 Hanha is the founder of the Transparency Blog, which encourages women to be confident in who God made them to be and what He has called them to do. Her interactive 31-day devotional, Jesus Is Bae, just came out last week, and it’s a wonderful tool for anyone looking to learn more about what it means to be in a relationship with Christ. As you’ll hear in our conversation today, Hanha struggled with shame for years before finding freedom in Jesus. The enemy tried to tell her she wasn’t loved, and for awhile, Hanha wondered if he was right. Everything changed when her mom challenged her to read the Bible with her from the start of Genesis to the end of Revelation. The transformation didn’t happen overnight, but as she began practicing daily faith confessions, God’s truth began to replace the lies she’d grown to believe. Today on the podcast, Hanha shares practical tips for combating shame with daily faith confessions. She and I also talk about how to respond when other people try to shame us and drag us into the pit. 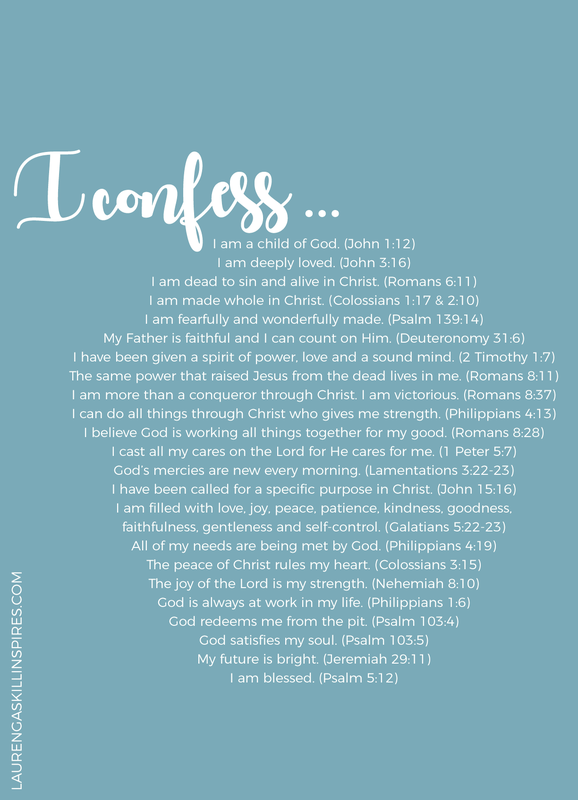 You can learn more about Hanha’s #TheConfessionsProject here (the faith confessions graphic above was inspired by our conversation, and you are free to print that out as well by clicking on the photo!). Hanha encourages us to ask God to help move Scripture from our heads to our hearts, so we can grasp His love and experience freedom on a deeper level.